The Minister of Petroleum, Mr Emmanuel Kofi-Armah Buah, has inaugurated a multi-million Ghana Cedi housing project called the Takoradi Oil Village at Ewusie-Joe, near Takoradi in the Ahanta-West District in the Western Region. The new estate, located in a serene landscape and owned by Ankamah Reality Limited, an Accra-based private company, has a range of residential apartments, health and educational complex facilities which are within a secure environment, thereby creating an alternative lifestyle for both new and old residents within Takoradi and its environs. Other facilities the village boasts include a security-controlled entrance for pedestrians, bicycles and vehicles, a helipad for helicopter landings, a nine-hole golf course, large conference halls, as well as a state-of-the-art club house. Some of the features of the estate are 24-hour security-controlled access with television surveillance, WIFI Internet and satellite television, swimming pool, gym and sports centre, restaurant and bar, firefighting and detection systems, as well as safe scheduled transport network to and from the Takoradi city centre and an airstrip. 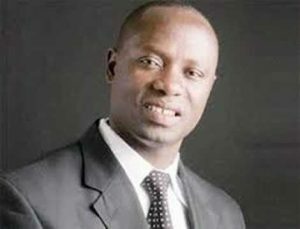 Mr Armah-Buah, who is also the Member of Parliament (MP) for Ellembelle, noted that the government was keen on ensuring the active participation of indigenous Ghanaians along the entire petroleum value chain, adding that the project was also in line with various projects that the government was undertaking in recognition of the rich natural resources endowment of the region. The village, he explained, would serve as ‘‘a place gathering for oil and gas industry players–enabling and creating the lobby for business transactions. This has been made possible as a result of the hard work, commitment and devotion to duty by staff of Ankamah Ltd and the entire Ankamah family. The minister observed that with the recent discovery of oil and gas in commercial quantities, the region was earmarked to attract massive migration of people from all over the world. ‘‘Currently, as we speak, a number of oil and gas service companies have relocated their regional offices to Ghana, thus making Ghana the regional hub of the petroleum industry,’’he added. Mr Armah-Buah announced that efforts were underway to fast-track the Tweneboa, Enyenra and Ntomme (TEN) development which would bring on board about 60 million standard cubic feet (mmscf/d) gas a day. He said the OCTP gas project was also on course to deliver about 180 mmscf/d at Sanzule. That, according to the minister, would take away the over reliance on the single Jubilee project as a source of gas supply and with all those developments, the Takoradi environs would continue to witness more relocation of people to the city.